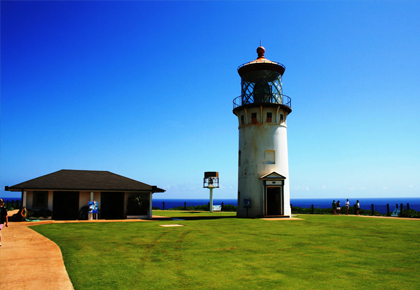 Hawaii is the 50th and most recent state to have joined the United States. 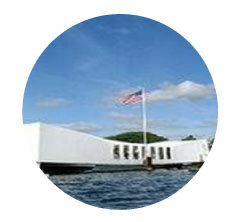 Hawaii has over a million permanent residents, along with many visitors and U.S. military personnel. 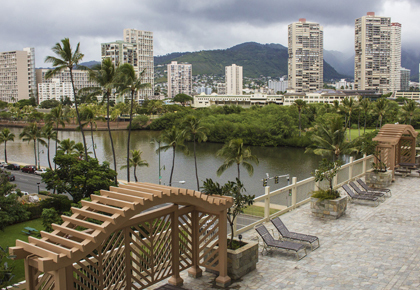 Its capital is Honolulu on the island of Oʻahu. Hawaii's diverse natural scenery, warm tropical climate, abundance of public beaches, oceanic surroundings, and active volcanoes make it a popular destination for tourists, surfers, biologists, and volcanologists. Waikiki Beach, AlaMoana Beach Park, Hanauma Bay, Sandy Beach, Sunset Beach, Diamond Head, Iolani Palace, Pali Lookout, Pearl Harbor, Polynesian Cultural Center-----are the most popular attractions of Oahu. Whether you are a complete beginner or an advanced English speaker, this superb overall course will give you the skills and confidence necessary to get to the next level of proficiency. Great nationality mix students from over 20 countries! Comprehensive communicative curriculum speaking focused! In the world of international business, English skills have become the key to global communication. For students just beginning or aspiring to a career in international business, a sound grasp of English communication with essential business vocabulary and style of presentation is essential. Students who use, or intend to use, English as a medium of communication in their day to day work. Students seeking an understanding of cultural issues related to global business. Students with previous study of business in their native language looking to extend their skills into English. What makes GV Hawaii unique? Leaving for and arriving in Honolulu, Hawaii. City tour in Honolulu in the evening. Pearl Harbor is a U.S. naval base near Honolulu, Hawaii, that was the scene of a devastating surprise attack by Japanese forces on December 7, 1941. Just before 8 a.m. on that Sunday morning, hundreds of Japanese fighter planes descended on the base, where they managed to destroy or damage nearly 20 American naval vessels, including eight battleships, and over 300 airplanes. More than 2,400 Americans died in the attack, including civilians, and another 1,000 people were wounded. The day after the assault, President Franklin D. Roosevelt asked Congress to declare war on Japan. The Japanese plan was simple: Destroy the Pacific Fleet. That way, the Americans would not be able to fight back as Japan’s armed forces spread across the South Pacific. On December 7, after months of planning and practice, the Japanese launched their attack. At about 8 a.m., Japanese planes filled the sky over Pearl Harbor. Bombs and bullets rained onto the vessels moored below. At 8:10, a 1,800-pound bomb smashed through the deck of the battleship USS Arizona and landed in her forward ammunition magazine. The ship exploded and sank with more than 1,000 men trapped inside. 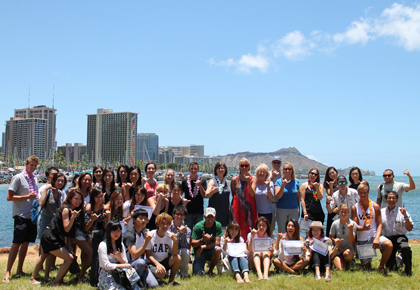 AlaMoana Beach Park, located between Waikiki and downtown Honolulu, is a favorite beach among local residents. 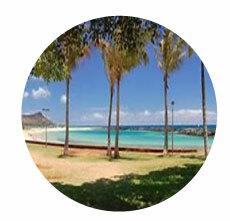 Often times less crowded than Waikiki Beach, AlaMoana is a great place to swim, picnic, stroll on the beach or to relax. The beach is over half a mile long and the water is calm because it's protected by a shallow outer coral reef. The 100-acre park has large grassy areas, banyan and palm trees, restrooms, showers, concession stands, a music pavilion, tennis courts and plenty of picnic tables. AlaMoana Beach Park is a good place to go jogging, picnicking, playing games, sunbathing, fishing, swimming, surfing, and stand-up paddle boarding and relaxing. Some of the south shore's best surf spots are located just offshore, such as Big Rights, Big Lefts, Concessions, Bomboras and Courts. Lifeguards are stationed on the beach daily. Magic Island Beach is part of AlaMoana Beach Park, a popular Honolulu city beach, located between Waikiki and downtown Honolulu. 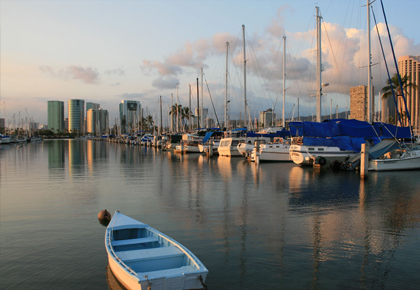 Many local residents and visitors alike come to AlaMoana Beach Park and adjacent Magic Island to swim, body board, surf, picnic or exercise (jogging, walking, etc.). Even though it's called Magic Island, this is actually a man-made peninsula. The small curved beach is located at the end of the peninsula. 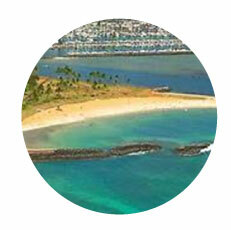 Most people prefer to swim at AlaMoana Beach instead of at Magic Island Beach. 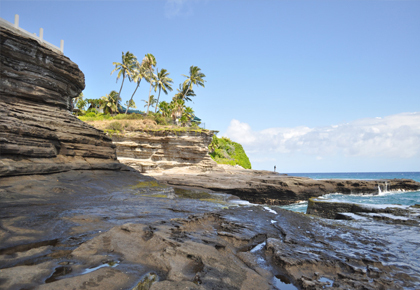 The reason is that the ocean bottom at Magic Island Beach is a bit rocky in some areas and the sand is not as smooth. Also, the swimming area here is a lot smaller. 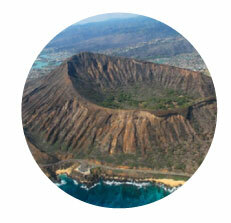 Diamond Head is a volcanic tuff cone on the Hawaiian island of Oʻahu and known to Hawaiians as Lēʻahi, most likely from lae'browridge, promontory' plus ʻahi 'tuna' because the shape of the ridgeline resembles the shape of a tuna's dorsal fin. Its English name was given by British sailors in the 19th century, who mistook calcite crystals on the adjacent beach for diamonds. Diamond Head is a defining feature of the view known to residents and tourists of Waikīkī, and also a U.S. National Natural Monument. The volcanic tuff cone is a State Monument. 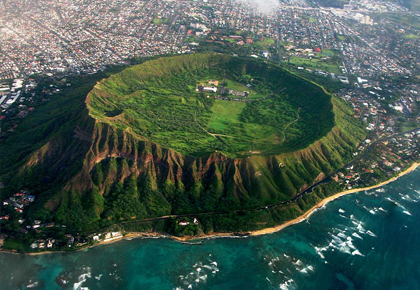 While part of it is closed to the public and serves as a platform for antennas used by the U.S. government, the crater's proximity to Honolulu's resort hotels and beaches makes the rest of it a popular destination. 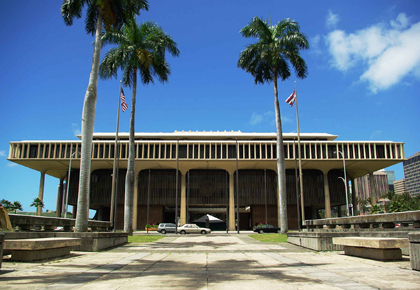 To visit the State Government of Hawaii. The purpose is for you to introduce your country.. The ukulele is a member of the lute family of instruments. It generally employs four nylon or gut strings or four courses of strings. Some strings may be paired in courses, giving the instrument a total of six or eight strings. The ukulele originated in the 19th century as a Hawaiian adaptation of the Portuguese machete, a small guitar-like instrument, which was introduced to Hawaii by Portuguese immigrants, mainly from Madeira and the Azores. It gained great popularity elsewhere in the United States during the early 20th century and from there spread internationally. Kualoa is a 4,000 acre Private Nature Reserve as well as a working cattle ranch with more than 600 head of cattle, 120 horses and 200 sheep, stretching from the steep mountain cliffs to the sparkling waters of Kaneohe Bay. 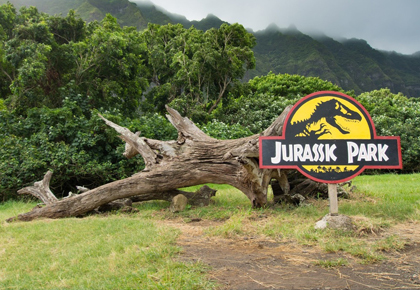 Kualoa is known as Hollywood’s “Hawaii’s Backlot,” and has been seen by more than a billion people in all the movies filmed at the ranch over the past 60 years! 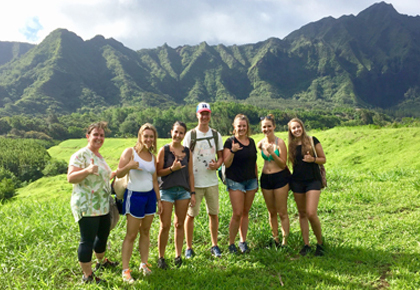 Kualoa is one of the most historically significant areas on Oʻahu, and in ancient times, it was one of the most sacred places on the island. Legends say Kualoa was once a pu’uhonua (place of refuge), where kanaka maoli (Hawaiian natives) could come to seek forgiveness. It was also used to host the Makahiki, an annual event where kanaka maoli came to train and participate in warrior games of skill. 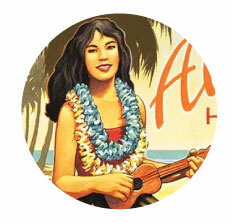 Come experience the aloha and special sense of ʻohana (family) that the 300+ Kualoa employees share. Your patronage helps keep Kualoa Private Nature Reserve sustainable so that we can keep it undeveloped and preserved for future generations to enjoy and explore. The Honolulu Zoo is a 42-acre (17 ha) zoo located in Queen Kapiʻolani Park in Honolulu, Hawaii, US. It is the only zoo in the United States to be established by grants made by a sovereign monarch, and is built on part of the 300 acres (121 ha) royal Queen Kapiʻolani Park. The Honolulu Zoo now features over 1,230 animals in specially designed habitats. Over 601,510 people visit the zoo annually. 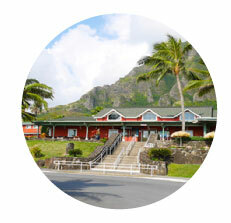 The zoo is administered by the City & County of Honolulu through the Department of Enterprise Services. 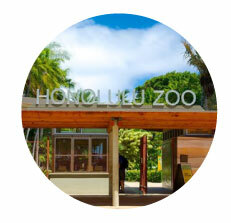 Its support agency, the Honolulu Zoo Society (HZS), provides program services for the zoo. Manoa Falls is a 150-foot waterfall located in the Manoa Falls Trail in Honolulu, Hawaii. Swimming in the pool below the waterfall is highly discouraged because there is a threat of becoming infected with Leptospirosis. This disease causes mild to moderate flu-like symptoms that can last for up to 1 to 2 weeks. 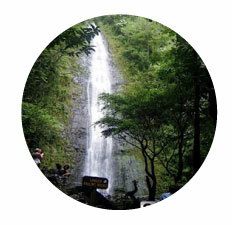 Many tourists are attracted to the waterfall and the scenery throughout the Manoa falls trail leading up to it. 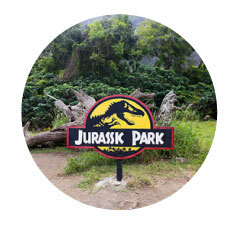 Another attraction near Manoa Falls is the Lyon Arboretum. The Lyon Arboretum preserve many endangered Hawaiian plant species. The hike to Manoa Falls and back is around a one-hour round trip. The waterfall and surrounding area experiences rainfall almost every day, and flash floods are also possible. Hulais a Polynesian dance form accompanied by chantor song (mele, which is a cognate of "meke" from the Fijian language). 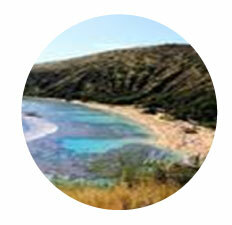 It was developed in Hawaiian Islands by the Polynesians who originally settled there. 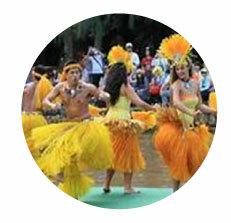 The hula dramatizes or portrays the words of the mele in a visual dance form. A frisbee (also called a flying disc or simply a disc) is a gliding toy or sporting item that is generally plastic and roughly 20 to 25 centimeters (8 to 10 in) in diameter with a pronounced lip. It is used recreationally and competitively for throwing and catching, as in flying disc games. The shape of the disc, an airfoil in cross-section, allows it to fly by generating lift as it moves through the air. Spinning it imparts a stabilizing gyroscopic force, allowing it to be both aimed and thrown for distance. The Discover Sailing course is an ideal way to learn how to sail for visitors to Hawaii and kama'aina with limited time. 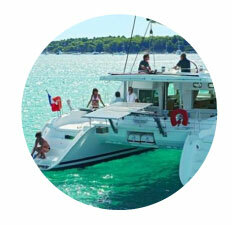 This 3 hour introductory lesson covers topics such as: boating and sailing terminology, sailing theory, basic seamanship, navigation and boating safety. The topics covered come from the American Sailing Association (ASA) Basic Keelboat 101 standards and this course can be credited towards your ASA certification*. The Polynesian Cultural Center (PCC) is a Polynesian-themed theme park and living museum located in Laie, on the northern shore of Oahu, Hawaii. Owned by The Church of Jesus Christ of Latter-day Saints (LDS Church) and dedicated on October 12, 1963, the PCC occupies 42 acres (17 hectares) owned by nearby Brigham Young University–Hawaii. 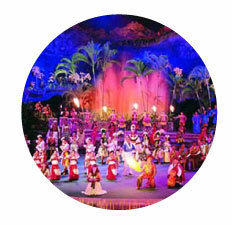 Within eight simulated tropical villages, performers demonstrate various arts and crafts from throughout Polynesia. Visitors may also take a free shuttle tour of the university and see the Laie Hawaii Temple and its associated visitors' center of the LDS Church. 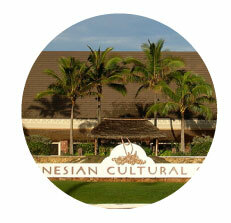 Seventy percent of the center's approximately 1,300 employees are students at BYU-Hawaii. 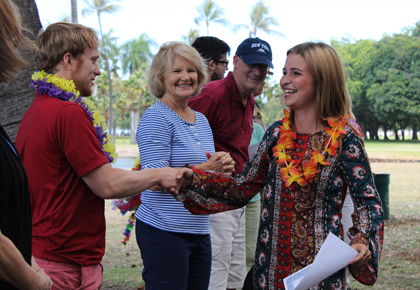 Although it is largely a commercial venture, PCC profits fund various scholarship programs at BYU–Hawaii. Students may work up to 20 hours per week during school terms and 40 hours during breaks. See you again but don't know when.